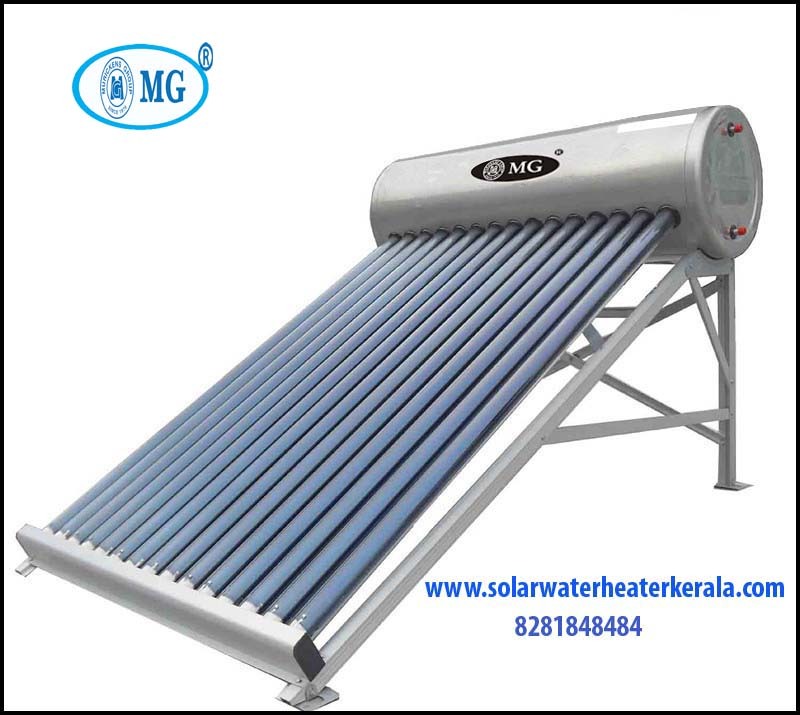 The introduction of MG Solar Water Heater by Muricken's Group provides a complete solution for getting natural hot water with the help of sunlight and there are two types of Solar Water Heaters available in Kerala market and they are FPC (Flat Plate Collectors and ETC (Evacuated Tube Collectors) The first one made up of copper is most suitable for the climatic conditions of Kerala and gives 80°C hot water with the help of normal sunlight. The second one is Evacuated Tube Collectors (ETC) which is made up of rows of parallel transparent glass tubes and the disadvantages of ETC models at time mentioned are very low temperature ie heat only upon 40- 50 C, water leakage through glass sealing, chances of breakage of tubes when it is exposed to heavy sunlight, chance to catch fungus inside the tubes which subsequently lower the heat of the water. This may kindly be noted that on rainy seasons it is always advisable to use electrical heaters and ever since our induction in this field we have installed innumerable number of units in different parts of the country and the list of our valued and reputed clients include International Airport, Karipoor, Kerala, The CISF 7th battalion military camp, Hyderabad, Govt. of India, Dept. of Space, Sreeharikotta, Central Marine Fisheries Research Institute, Cochin, Kerala Agriculture Research University, Malappuram, TCS (Info Park Cochin) etc in addition to a large number of our esteemed clients in the private sector. This may also be taken into account with caution that the installation of the system should be undertaken by a well qualified and experienced technical person to get the maximum benefits of the system and to avoid unnecessary expenses and unpleasant outcomes. ► Maintenance free. ► Water heated up to 80°C. ► No electrical hazard. ► No expenses after installation. ► The best way of getting natural hot water for cooking and industrial purposes ► Copper capillaries. ► P U F system and glass wool to avoid conduction loss for storage tank. ► Light weight. ► T I G welded fins and tubes. ► Compact in size. ► Heat expulsion. ► Fully automatic. ► High quality tempered 4mm thick front glass. ► Sturdy and weather proof design. ► Different Capacity starting from 125 to 1000 litres. 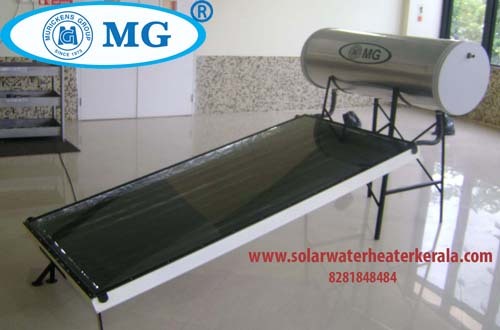 ► Custom built Solar Water Heater can also be provided. ► Two models FPC and ETC. ► In FPC special model we can connect pressure pump.